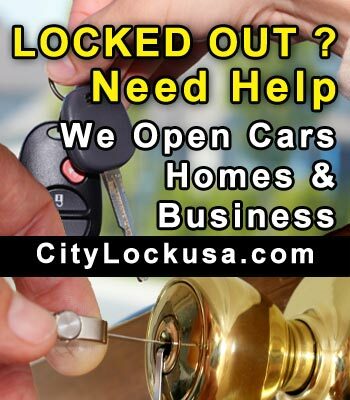 City Lock is your Boulder car lockout specialist if you have locked keys in the car we can help with fast safe professional service from one of our mobile locksmith vans. Our Boulder emergency locksmith service is here for you 7 days a week. No one knows the Boulder and surrounding areas better then we do we have been in business for over 35 years providing Boulder car lockout services Call Now. You walked out and the door locked behind you it happens all the time for both home owners and business owners. Don't stress we are here for you to get you back in fast. Our Boulder home lockout service is only a phone call away call us at 303 444-4407 we are licensed, Trustworthey and highly trained to get you in you home or business. We can also make extra keys for you if needed. All Boulder car lockout service and home or business lockouts will require proper ID. We accept calls from many road side assistance company's what we will need to take the call is. Prepaid by Credit card we do not bill third party's.